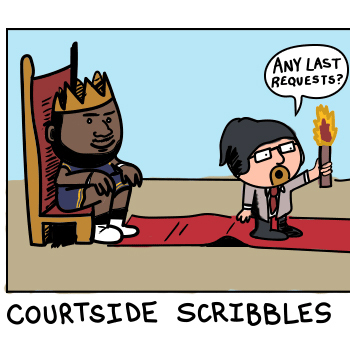 Here you will find the growing, illustrated collection of Courtside Scribbles. 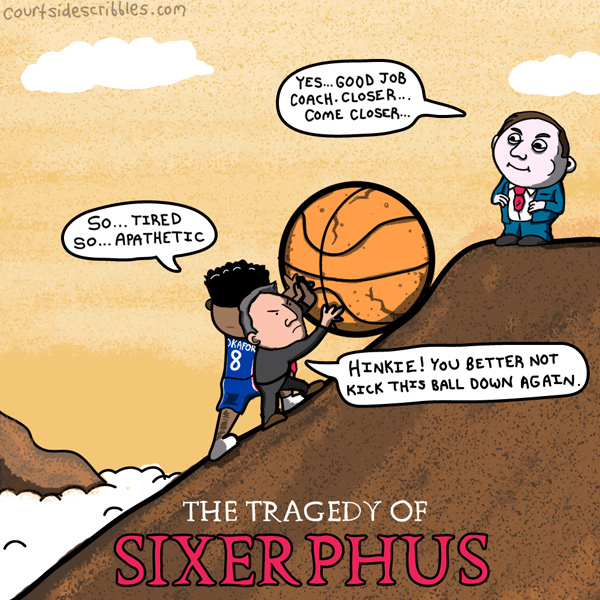 These NBA comics and cartoons set the characters of the league past and present in colorful situations in the style of Sunday morning comic strips. I’ve always loved both so why not go for the and-1? I guess it’s kinda like Space Jam actually. And everybody loves Space Jam. 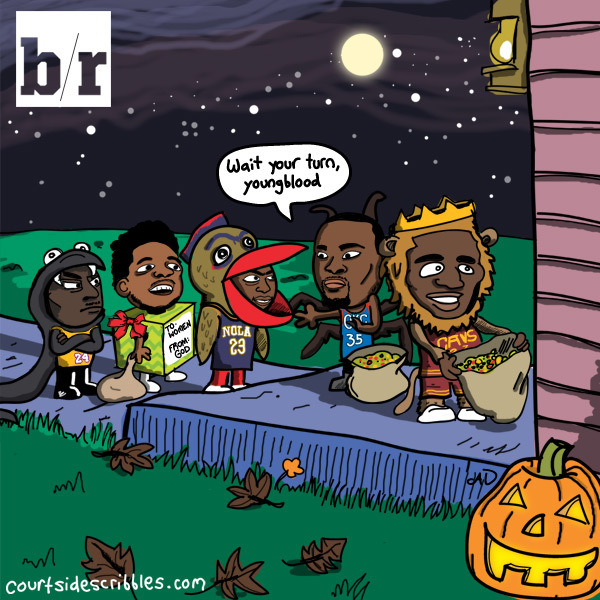 The NBA is unlike any other league in the world. 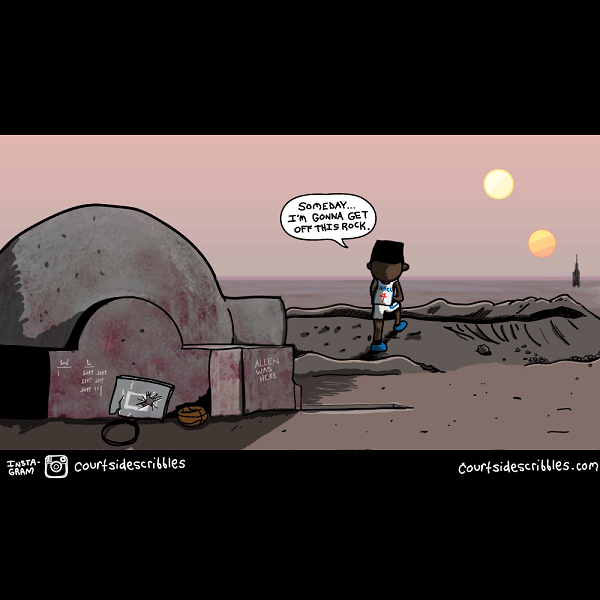 It begs to be interpreted in comic form. Every season there are heroes, villains, rising stars, falling stars, noobs, nephews, jesters, cynical vets, and evil owners. The President even makes a cameo every season. 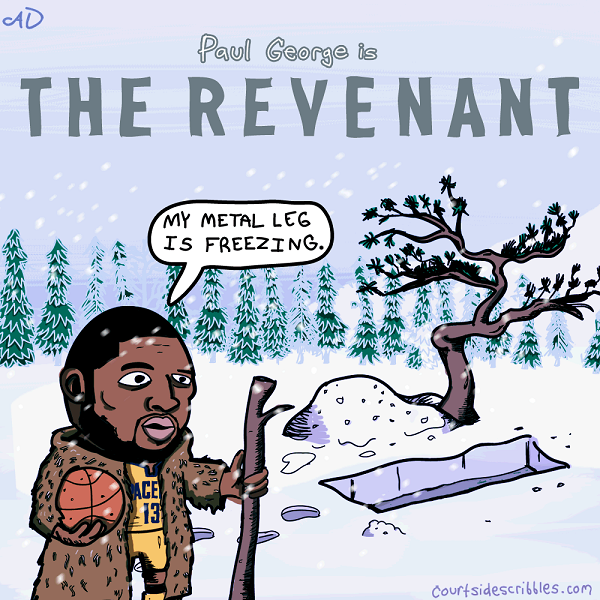 If you have ideas for NBA comics and cartoons, get in touch with me. Who knows? 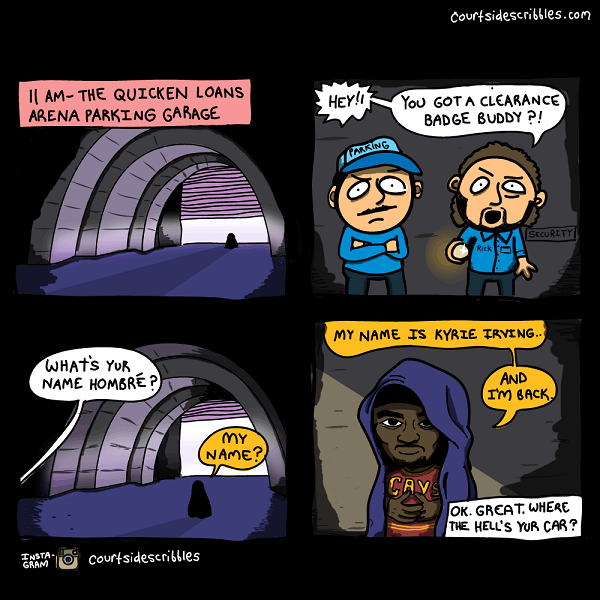 You might see that strange situation you’ve only daydreamed about brought to life in full Courtside glory. You know the one, where Draymond kicks HIMSELF in the nuts after losing a game. That kind of thing.